Flattering50: Happy National Flip Flop Day! Happy National Flip Flop Day! Who knew there was a holiday for flip flops? I certainly didn't. Somehow I doubt the holiday was enacted by Congress. Still, I appreciate the excuse to celebrate (and blog about) the ubiquitous summer footwear. Here in New York, flip flops are huge among the twenty-something set, who wear them with everything from summer shifts to super short shorts (ugh!) on the city streets. While you won't catch me in hot pants (you didn't catch me in them during their first go-around in the early 70s), I do wear flip flops a lot with skirts and dresses. And, of course, on the beach. Generally speaking, flip flops are minimal fashion with a minimal price tag. What's not to like? Plus, you don't have to spend lots of time hunting for them. Flip flops are everywhere--from hip designers like Tory Burch to your local pharmacy. Needless to say, designer flip flops are going to be a bit pricey. (I saw a Gucci flip flop for over $300!) 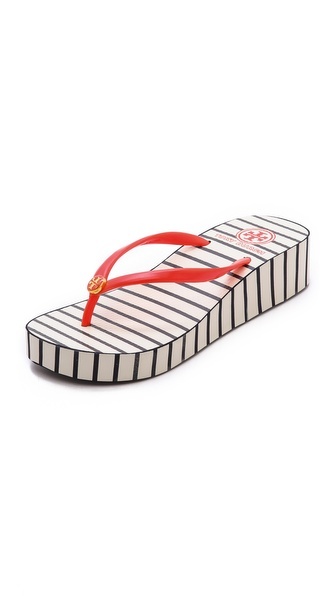 The Tory Burch Thandie Wedge Flip Flops - Tory Navy/Stripe Poppy Red (above) were originally $60 (now $42). (Sorry, these sandals are only available in Size 10). If the wedge thong sandal style appeals to you, however, you might check out Nordstrom's collection. I found lots there, including a Sbicca 'Delaluna' Wedge Sandal Blue 7 B ($54.95). The wedge is straw and thong is made of a pretty weave (available in 7 summer colors). 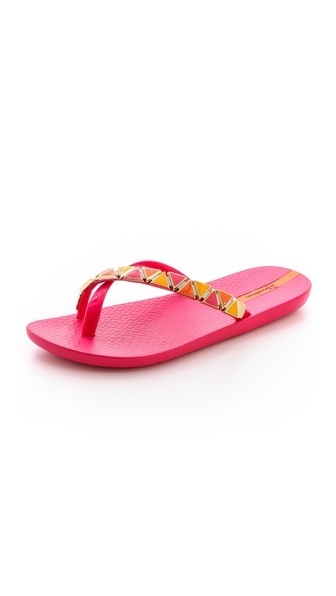 However, you don't have to pay designer prices for colorful, patterned flip flops. Here's a Old Navy Womens Printed Flip Flops - Blue floral ($9). 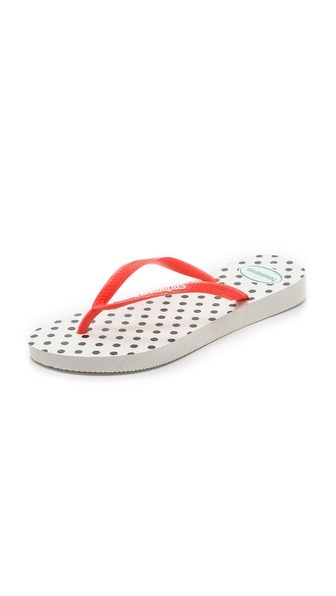 If you just want a basic flip flop, the Old Navy style above is great. However, for something a little more stylish for day or night activities, leather flip flops are a great look. Land's End has these Women's Nira Flip Flops - Leopard (was $49, now $29.99). Or... Here's a pair of Nine West Pato Flat Thong Sandals - Size 5, Metallic (was $39, now $29). The style is available in five colors, including this trendy metallic silver. Meanwhile, I recently discovered flip flops by Feelgoodz, which apparently are made from natural rubber by farmers and artisan cooperatives in Thailand, Vietnam, and Guatemala. Naturally, I love the idea of a natural flip flop. 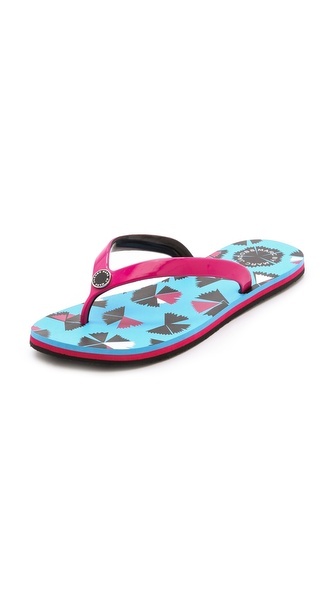 Women's Embellished Flipflops - Black (was $24.50, now $ 14.99) from Land's End.